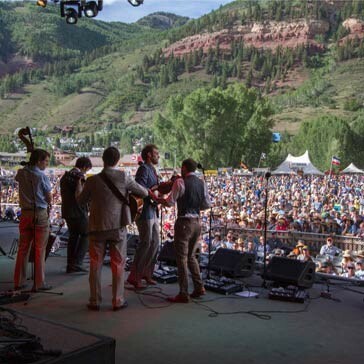 Four-day general admission pass to the 46th Annual Telluride Bluegrass Festival. This pass does *not* include camping. All Telluride Bluegrass tickets are refundable if returned on or before March 8, 2019. No returns after March 8. PLEASE NOTE: 4-day passes are still available to festival volunteers! Learn more about volunteering for the 2019 Telluride Bluegrass.